It was during the 16-bit era that the action-style role-playing game began to take off. Instead of using the turn-based battle system found in most traditional RPGs, many developers were putting the player more in control of the actual battles in an attempt to broaden the appeal of the genre. The release of Soul Blazer from RPG pioneer Enix was one of the first action RPG releases to really catch on with role-playing game fans, and it took the sword-swinging action of the Zelda series and built a more traditional RPG experience around it. The result was one of the most engaging action RPGs of the time period and one that would end up spawning two more release, forming what became known as the "Gaia Trilogy". 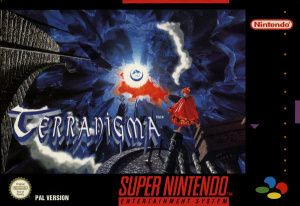 Terranigma was the third and final release of the trilogy and has become one of the most beloved Super Nintendo RPGs the world over, even in the US where the game never saw a release. 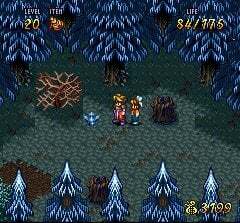 Unlike most other action RPGs that involve the main character swinging a sword, Ark, your character in Terranigma makes use of a spear or rod-style weapon. By pressing the action button, Ark will stab with his weapon. If you continue pressing the button in rapid succession, Ark will even perform multiple stabs that do greater damage. You can even use the run button to do a running stab move that will also inflict quite a bit more damage than a regular attack. This move will come in particularly handy when you have to face off against one of the game's many bosses. Ark also has the use of magical spells via the use of various Rings. Much like the weapons and armor you can find and purchase throughout the game, Rings can be bought with special jewels called Magirocks that you'll find throughout your journey. These Ring attacks can unleash powerful spells that will be extremely useful against the stronger enemies in the game. You can also level your character up, in typical RPG fashion, by defeating enemies in battle, therefore increasing your attack and defensive power. It's this careful combination of weapons, armor, and skill level that determines how successful you are in battle. The play control in Terranigma is intuitive and easy to pick up. Even performing the special attacks will feel almost second nature after a while. Pulling up the menus is also quite easy and can be executed even mid-battle if necessary. The game also provides plenty of clues as to what you're supposed to do next, so there's never that frustration of getting stuck in one place for any extended period of time. As long as you level your character up and outfit him with better weapons and armor, the game should have a very smooth and gradual increase in difficulty. 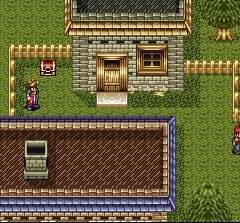 The visuals in Terranigma should look quite familiar to those who've played previous Gaia releases, as they all have that trademark graphical style to them. There are tons of Mode-7 effects strung throughout the game, one of which you'll get to experience first-hand when you acquire the use of the airplane. There's also a very unique special effect used on the world map that gives off a very realistic look of distance as the surface area gets father away into the distance. Another thing Terranigma is not short on is variety. Every area you visit will look completely different than the previous one and it's not just a case of the developer mixing up the color scheme, as each area has its own distinct look and style. The game also features some absolutely amazing bosses, many with the type of detail that goes beyond anything seen in the first two Gaia releases. You'll find yourself looking forward to the next area you'll visit if only to see what visual treat you're in for next. 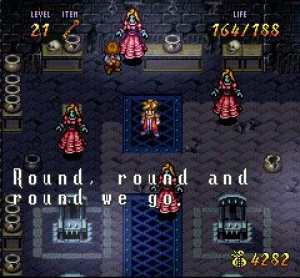 The Super Nintendo console was known for featuring some impressive music and sound effects, and the musical score in Terranigma is certainly no exception. You'd be hard-pressed to find a more emotionally-charged or moving musical composition than the one found in Terranigma. Chrono Trigger might be the Super Nintendo RPG soundtrack most gamers point to as being the best the console has to offer, but Terranigma isn't far behind. Everything from the soothing soft melodies to the more up-tempo tracks you'll hear during boss fights, there's honestly not a bad track in the entire game. There's a reason the Terranigma soundtrack is one of the most popular among collectors and one play of Terranigma will let you know exactly why. It's hands down one of the greatest RPG musical scores to come out of the 16-bit era. 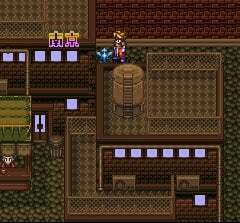 There are honestly very few role-playing game experiences quite as enjoyable or engrossing as the one found in Terranigma. Not only is the quest absolutely epic in size, but the way the storyline continues to evolve and unfold makes it feel more like a movie than a video game at times. Terranigma does for action RPGs what games like Final Fantasy and Chrono Trigger did for the more traditional RPG market. And while it might not have the brand recognition of the aforementioned titles, it's one of those RPGs that once you play it, you'll never forget the experience. It's also the kind of game that will remind you why you love RPGs in the first place and one you'll find yourself coming back to time and time again. Terranigma is among the finest action role-playing titles ever crafted, possibly even the finest, and a game that absolutely no RPG fan should miss. Wow, is this game really that good? I never even heard of it before. I played Soul Blazer of course and I'm still waiting for Nintendo to put that on Virtual Console! I thought that when ActRaiser was put on Virtual Console Soul Blazer would be sure to follow but here I am still waiting! Is there any chance of this series ever landing on Virtual Console? I've been losing interest in RPG's of late. The ones they make these days are all a bit rubbish. If this series comes to VC I might just give it a go but Secret of Mana has made me a bit wary. I thought that game was very over-hyped. This game is amazing. Not my favourite game of all time (Shocking, i Know but A few others edge that spot for me) but it ranks highly with me. There is a chance of this being released on the VC, seeing that Square-Enix don't seem to want to remake this just yet but it could happen. I'm not betting on anything soon though but in the future, maybe. Only Chrono Trigger ranks higher on my RPG list than Terranigma. And even that's a close one. Hopefully we get to see this on the VC soon! Yay! You finally wield something other than a sword! I've started playing again from the beginning. So far, I've completed the 5 Towers at the beginning. Would have got further but i have other stuff going on. Firstly, What gave it away? Secondly, you can just call me Terra on here, I prefer it. I wan't this on VC NOW!!! What are the prequels to this game then? Great review, love to see this pop up in the US VC. By the way Corbie where does Final Fantasy 2 and 3 rank on the top RPG list? This is a great game but not as good as star ocean! now chronna trigger....a game if you wanna call it that was just trying to show off the mode 7 on the snes at the time,so i have to say that it was a pos. Soul Blazer and Illusion of Gaia. This is a lot more obscure, so i don't know if you guys have heard it but there's a 4th game by Quintet which is sometimes counted as part of the series, called The Granstream Saga. It's a sequel rather than a prequel. I don't know much about the game, nothing major. I do know that Enix didn't publish it, it was released on the PS1 and apparently shares several themes to the other games, like the theme of a dying world. Just something to think about with the series. I may try and find a copy somewhere. Soul Blazer & Illusion of Gaia are the prequels. And we should get this game as soon as possible, cause it would sell - like crack in Denmark. @ Terranigma: I played through The Granstream Saga when it first came out, and while it does share similarities to the other three games it's nowhere near as fun to play. It's really slow and boring and more like an actual RPG than an Action RPG. I agree about Granstream Saga. Not that great, and certainly not on par with Soul Blazer, Illusion of Gaia, or Terranigma. Not even remotely close. They should just release all 3 of these games to make up for all the lackluster 1&1 weeks we've had lately! At least give us Soul Blazer; that way people can know how great these games really are! Most people have never even heard of these games! It would also show people that Enix actually made good games too BEFORE the Square-Enix merger! Ever hear of a little game called Dragonquest? I agree WolfRamHeart. They're not re-releasing these games anyway, they might as well make them available on the Virtual Console. Just put all three together and call it a day. I finished Illusion of Gaia, took me quite a while and it was an incredible game. It was published by Nintendo too if I remember so it should have a decent chance of making the VC. I've always wanted to play Terranigma but I never got a chance. So, saying Granstream's part of the series is practically an insult then. Oh well, there'll always be the proper trilogy. Terranigma what do you think? Is it worth changing my name? I WANT THIS GAME ON VC! So I can't be TOO mad that it never came out in NA since Europe missed Mario RPG, Earthbound, and many more first time around (some of which may NEVER be available legally in that region...), but I'm still kinda ticked off about it because this game looks AWESOME! Soul Blazer is one of my favorite SNES games with Gaia close behind. I miss Quintet, though I don't think much of Granstream Saga... Hurry the heck UP, Squenix! I've never even heard of the Gaia series until just a few years ago, but they all sound like great games. Square-Enix needs to hurry up and release them all on VC! I suppose I could emulate them in the meantime. I never had a chance to play Terranigma. I never heard the game before 1998 or 1999. I am familiar with the Gaia series though. Soul Blazer and Illusion of Gaia are excellent games. I heard of first two Gaia games for several years before I got a Snes in 2000. I don't even bother to vote in the N-Power poll anymore, partially because it's a meaningless poll as far as release plans go (the fact that Earthbound tops the list every month it can and STILL goes unreleased is proof of that), and partially because the games I'd vote for are already way up there anyway. Why is it so hard for Nintendo to take a poll for releases and actually...you know...RELEASE them? What we need now is more "we ask for it, they release it" type stuff instead of the blind hope we're forced to struggle through with. Of course they couldn't grant ALL our requests, but surely at least SOME of them could be met! I have a quick question. Are these "Gaia Trilogy" games connected in any way at all story wise? I guess what I'm trying to say is, would I have to play Soul Blazer and Illusion of Gaia in order to understand what is going on in this game? The only way the games are connected are through little references here and there, there's no over-arching story. Seriously though, I'd had some small thoughts awhile ago that I shouldn't have named myself on here after a game. It may be one of the best games that I've ever played (not the best though for me) but maybe i shouldn't have forever associated myself with it on here and have just used another name instead. Then again, it's only a game and this username doesn't really matter that much, plus this one stands out a bit more than others so I'm fine with it. I haven't played this game, but I'll buy it for the vc!!! Yes, it really is "that good". I've played and beaten all three games. It's one of the best games on the SNES and it's Quintet's greatest game ever bar none. I do prefer Secret of Mana, Chrono Trigger, Earthbound, Super Mario RPG, and Final Fantasy 6 more than this but this game is very close to the perfection of the aformentioned games. I am playing this for the first time right now and I feel like I just took a portal to 20 years ago. What a truly amazing game this is. I remember trying this on an emulator about 15 years ago but ended up not liking it because I thought the 5 Towers part was the whole game, and I grew very bored of it. But now I'm playing it on an actual SNES, I'm far past chapter 1, and now I get why this game is considered a masterpiece of the SNES. Maybe because this was only released in UK but man, biased much? The pacing and story direction in this game is just plain bad. It's weird to have so many themes thruste onto you in literally one hour. The art and music are it's saving grace.